Thumb jockeys are making hard-earned money by playing the video games they love. Gamers like Kyle Reynolds, a student at York University, and a Splash Brand Ambassador for Sony, won $10,000 at the Varsity Challenge Tour through Virgin Gaming in Toronto, last month. “Video games can now be considered a sport. A lot of people can actually make a career by wagering money on matches. It’s crazy. People need to understand it is skill, not a game of luck,” said Reynolds. Virgin Gaming goes to universities throughout Ontario, offering students the opportunity to win cash by playing games. The University of Ottawa is next up to host the event this week. Virgin Gaming then visits five other universities before they wrap up their tour at the University of Toronto. “They came to my university. The top winner got to go to Toronto to compete for $10,000. That winner just happened to be me,” said Reynolds, who was promoting the new PlayStation 4, at Gamercamp in Toronto. Kyle Reynolds holds a $10,000 cheque he won playing NHL 2014, through Virgin Gaming during the Varsity Challenge Tour in Toronto. The Toronto based company, allows gamers to bet on video games such as Madden NFL, NHL, NBA, and FIFA through EA Sports and 2K Sports. The service is available for games on Microsoft’s Xbox 360 or Sony’s PlayStation 3. Richard Branson’s Virgin Group collaborated with a small Canadian start up called WorldGaming.com to create Virgin Gaming, which has headquarters in Toronto, two years ago. Since then, the gaming industry has evolved, as well as the company itself. The online service has 2.7 million users as of last month. This means there is an opponent to play at any given time of the day. The company has awarded $7 million in prizes with more than 4 million game challenges issued since arriving to the video game world. Virgin Gaming has checks in place to ensure all players are aged 18 or older. 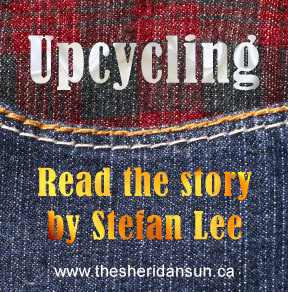 The website also has a section on responsible gaming. “Sometimes we all need to put down the controller,” it states. “You can bet anywhere from $1 a game to $100 a game. Depending if you win or not, the money is instantly put into a PayPal account, it’s really that easy. The more you play the more likely you’re going to win the game,” said Reynolds. 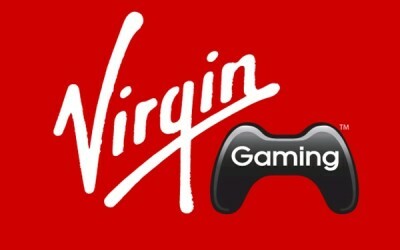 Players can compete for online cash, knowing that cheaters will be rooted out of the system, since Virgin offers a “fair play guarantee” with automated game results validation. Added by Paul Woodley on November 5, 2013.